There is no doubt that kids are the best gifts from God. With them being a part of our lives, we tend to forget all our issues and immerse ourselves in their everlasting joy and happiness. With them we can also relive our own childhood. Well, it is a great idea to surprise your kids or kids in your family to show your love and affection. Instead of buying something big and fancy, you can do this with some unique and enchanting DIY gifts for Kids ideas. Here is a collection of gift ideas which are creative, affordable and can be made within a short span of time. Also, they don’t require high-end skills and any layman can try their hands on any one of them without any issue. For creativity workbench, kids workbench will be the perfect DIY for your kids. This DIY is loaded with different builder stuff in relation to your kid’s interest. The tools which are planted are just mere toys and will definitely be loved by your kids to the core. Read the Tutorial. If you have a daughter and want to amaze her with some marvelous gift, the CD Shelf Dollhouse will be worth to give. This DIY can be customized as per the requirements and can be sculpted with a 1-floor storey which consists of a bedroom and other rooms for that pretty doll. Read the Tutorial. Almost every kid dreams of ruling their own town and that’s what the Chalkboard Town does. With this DIY, you can create amazing houses and can turn everything into a complete town environment. Seeing your kid rule their kingdom will be the ultimate joy for parents as well. Read the tutorial. Crayons spread anywhere in the bag can be frustrating at times. To bring them all together, Crayon Monster Art Tote is the best-loved option. This Cute bag can accommodate all of your kid’s crayons and will be worth using even for a long-term future thinking. Click here for the tutorial. How about giving a soft toy to your kids as a gift? Yes, it will be loved by them to a level of utmost excitement. The Sock Monkey looks identical to any realistic monkey and can prove to be a mood setter for your kids. Well tempting to make one, Click here. Daughters love dolls but gifting their dolls a complete bedroom for them will be a total blast. 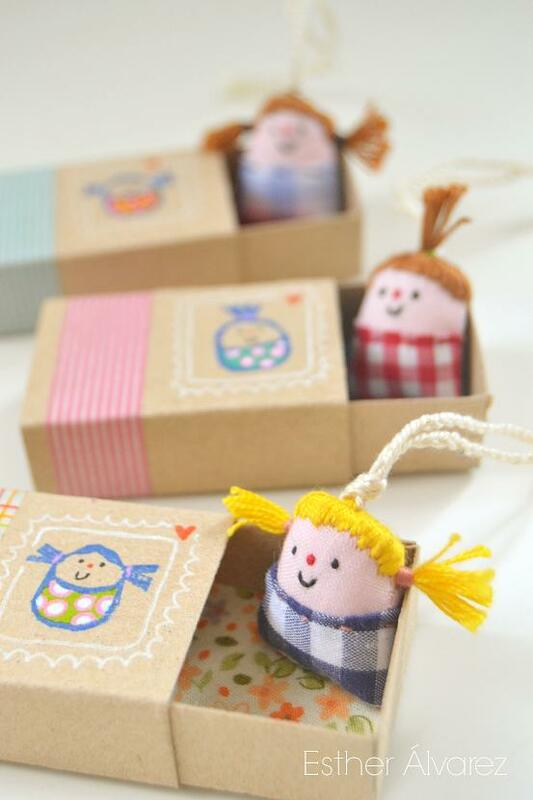 The Miniature Dolls with Beds DIY do require some skills but can be made within a shorter span of time. Colorful bed sheets with a warming surrounding also look attractive. Read Tutorial. With the world moving towards the usage of Recycle stuff, the Recycled Cardboard Dollhouse can never be left behind. This DIY is composed of a series of cardboard painted all over with enchanting colors. Also, for dolls, this built empire will be sufficient to live in peacefully. Read the Tutorial. Why should adults have their bank accounts when there is the Mason Jar Superhero Bank as a boon. Yes, for kids, this mini bank will be sufficient to save their penny. Also, the jars can be painted with favorite superhero graphics and will be a magnificent gift. Read the Tutorial. To spark in the excitement of horror in your kid’s life, Monsters Glove can shift the mood of your kids to an extra orbit level of happiness. Use buttons, artistic creativity, and other customizations to create the best Monster Glove for your kids. Well, looking to make one? Click here. Organizing things for your kids might seem to be a difficult task. But, with Wooden Crate Storage, they can organize their things with more professionalism and amusement. This DIY can store in different kinds of stuff of your kids and can be placed in any convenient place in your house. Read the Tutorial. If you have a dream of making your kid a doctor, the feel better band-aids DIY can be the perfect one to light up a fire in them. This DIY can be made from a handful of stuff and does not require much time in its making. Read the Tutorial. Angry birds must have been played on electronic devices but playing it, in reality, it will be worth cherishing and full of excitement. Your kids will love playing the Angry Birds Can Toss Game with sheer passion. A series of cans with an angry bird ball for destruction is worth playing. Read Tutorial. You say unicorn horses once and every kid will rush waiting to see a glimpse of it. To add to the excitement, Felt Unicorn Horses DIY will be a gift which will stay in your kid’s heart for a long time. Do the necessary customizations and make that dream unicorn for them. Read the Tutorial. The Sidewalk Chalk gives the illusion of a stick candy which can flaunt your kid’s happiness to a whole new dimension. It can be created using different colors and can be molded into the shape of a candy which your kids love. Well, tempting to make one, Click here. Dolls are usually made of plastic and soft material but Handkerchief Dolls will be a whole unique creativity on its own. Your kids will also go gaga over this wonderful innovation of dolls made from just mere handkerchiefs. Also, you can color it with your kids favorite color for added excitement. Read Tutorial. I hope that you have gone through the above DIY’s and must have chosen the perfect one for your lovely kids. Surprise them with these DIY’s and let them enjoy it to the core.